This photo was taken in the Living Desert Zoo in Palm Desert, CA. 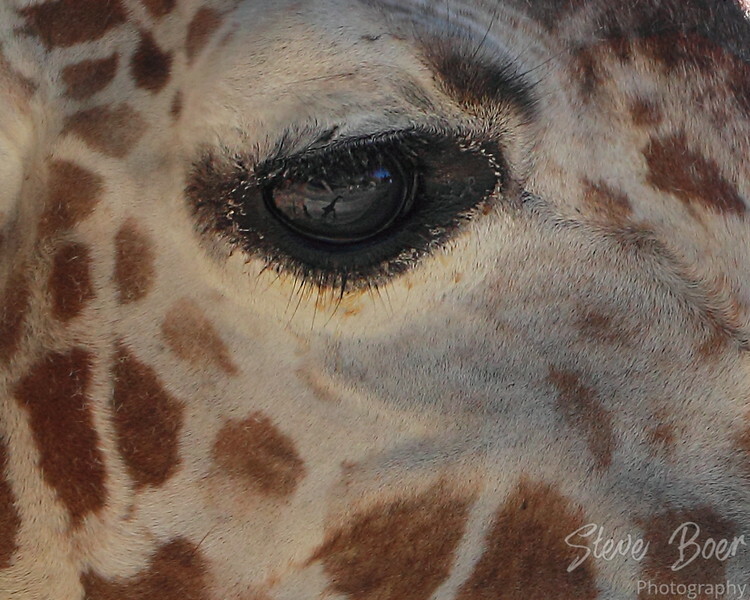 It was originally a whole head portrait, but I cropped in when I realized the reflection of the young giraffe in front was visible in the eye. Amazing capture and I have never heard of this zoo! Thanks Cindy! It’s possibly the nicest zoo I have ever been to. Large enclosures and good habitats. If you’re at all familiar with the Palm Desert area, it’s on Portola Ave, about a mile south of Hwy 111.
differently shaped eyes from , say a horse. like the capture.